Is it time to upgrade your home to Radiant Water? Radiant Water improves your quality of life in many different ways. You will notice an immediate improvement in the feel and look of your hair, skin, clothes and appliances. The American Eagle Supreme whole house water system carries a LIMITED LIFETIME WARRANTY. Learn More About Our Whole House System! Your American Eagle Supreme Water System is backed by a 10 year 100% Parts & Labor Warranty on all its components. Your American Eagle Grand Water System features a 4 stage filter process, backed by a 5 year 100% Parts & Labor Warranty on all its components. Your American Eagle Econo Water System features a 3 stage filter process, backed by a 3 YEAR 100% Parts & Labor Warranty on all its components. Your American Eagle ECO/GREEN uses no salt and has a scale stop turbotac chamber, catalyic carbon, KDF, Quartz media & Silica. No Salt Discharge. Addresses chlorine, taste & odors. Environmentally friendly. Media life is 4-8 years. This is a water softener alternative. Your American Eagle All Green Protect uses a next scale stop media bed, with charcoal for chloramine and chemical reduction. ZERO WASTE, NO ELECTRICITY, NO DRAIN, NO PROGRAMMING! Media Life is 3-6 years. Your American Eagle Ultima Water System features 2 tanks, one with catalyic carbon for chloramines & chlorine, and chemical reduction. One tank for simply softening and polishing. Best prevention available! This product is custom fit to your home! 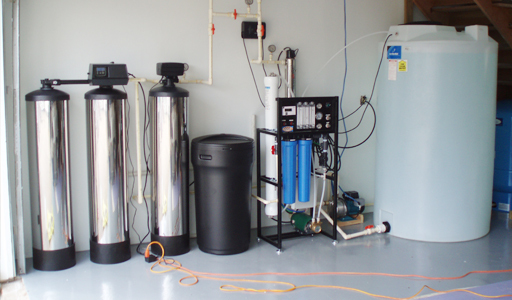 Radiant Water offers a variety of drinking water systems, including: Coolers, Instant hot Water, Chillers, Faucets, Reverse Osmosis Filters, Carbon Filters, and Replacement Filters for home, office, and commercial. Radiant Water offers full repair and refurbishing services on all models and brands of water filtrations equipment. We offer Factory Service and Factory Overhaul as well. Factory Service should be performed on any brand of water softener every three years to maintain optimum performance and continuously deliver soft, filtered water to your home. This service includes recalibrating the timer, flow meter and the number of people in your household. It also includes cleaning and disinfecting of the softening media. Factory Overhaul includes Factory Service, replacement of all worn moving parts, replacement of softening media and filters, inspection of tanks and plumbing and 90 days warranty. 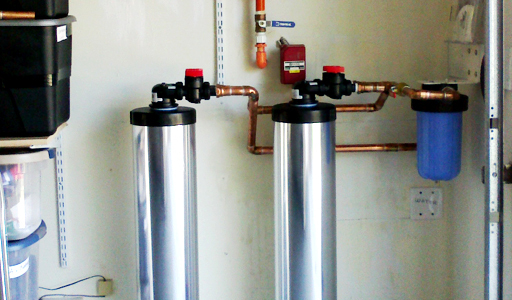 Factory Overhaul can restore your water softener to its original function and save you hundreds of dollars over the cost of a new unit in the process. Reverse Osmosis Annual Service is required by all manufacturers of RO systems. The filters in your system must be replaced every year to continue to deliver crystal clear, great tasting water. The membrane must be replaced approximately every three years, as well. During the annual inspection, our technician will determine which components need to be replaced. Radiant Water's Service and Repair Staff can repair any make of water softener, water filter and reverse osmosis on the market. 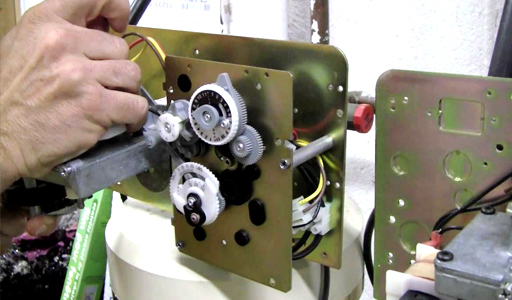 We have parts and service manuals available for most systems, no matter who the manufacturer is or what the age is. 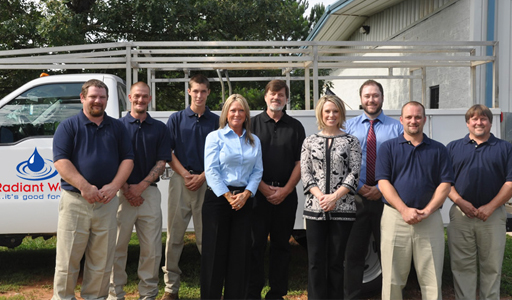 Just give our service department a call at 877.772.3426. Here's what Radiant Water's Clients are Saying! Read some testimonials from real Radiant Water Clients and learn why our clients recommend us over and over! I immediately noticed that my skin was soft after taking a shower. Previously I raced off and immediately put on cream. My husband noticed that he is getting a smoother shave. Both of us have found an amazing improvement in our hair. Thank you for bringing this product to us, and thank you for the excellent service we received when having our system installed and the follow up visit. We want to thank you for installing such a wonderful addition to our home! In just a few weeks we are already noticing cleaner clothing, softer skin and better tasting water. Additionally, I have noticed the shower & tub are beginning to lose the calcium deposits that have been plaguing me for the last few years. We now have the assurance that we are drinking and using safer, better water. I am a cancer survivor and am very sensitive to what is going into my body. I noticed about a year ago that our city water had changed. It was stinging my eyes, tasted bitter and left my laundry stiff. I became concerned about residues entering my skin and certainly the impact of cooking with this water. Now I feel confident and safe.